RAF Bomber Command was formed on 14 July 1936, a time when it was believed that ‘the bomber will always get through’. It was also a time when Britain feared the rapidly expanding German Luftwaffe, which, it was thought, was developing aircraft with the means of wreaking havoc and raining down total destruction upon British cities. In reality, the developments in radar technology greatly threatened the belief that bombers could reach their targets unopposed by enemy fighters, and Germany lacked bomber aircraft that could fly all the way to Britain, drop their payloads and return home without refuelling. Nevertheless, Bomber Command was established with the view of acting as a deterrent, promising to devastate German cities should the Luftwaffe bomb Britain first. 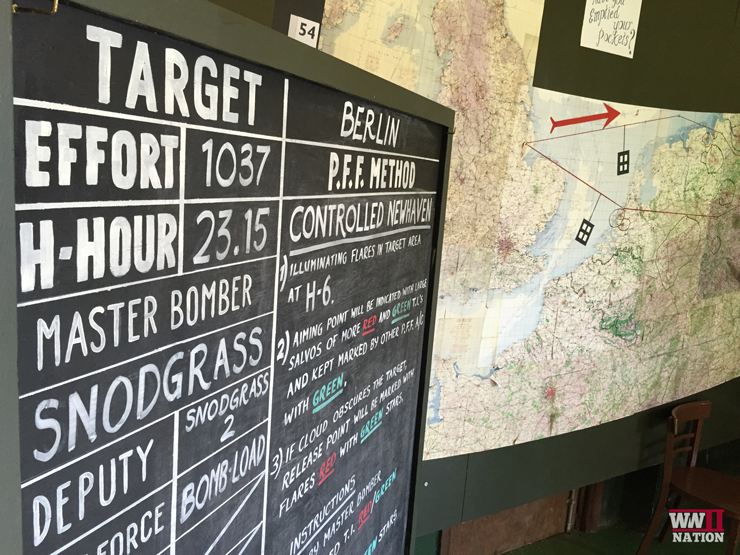 When war broke out in 1939, Bomber Command was divided into groups – numbered 1 to 5 – each made up of a number of squadrons. 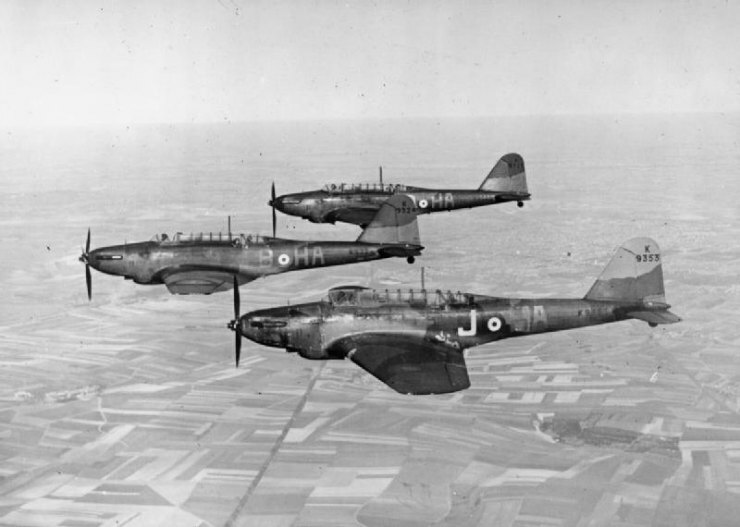 Elements of No.1 (Bomber) Group were sent to France in late 1939 to form an Advanced Air Striking Force (AASF), which consisted of eight Fairey Battle and two Bristol Blenheim squadrons; three squadrons of Hawkers Hurricanes from Fighter Command were also attached. However, the AASF would return to Britain in June 1940 following the loss of almost 230 aircraft. Later in the war, two more operational groups would be added, including: No.6 (Royal Canadian Air Force) Group and No.8 (Pathfinder Force) Group, No.7 Group being an operational training unit. 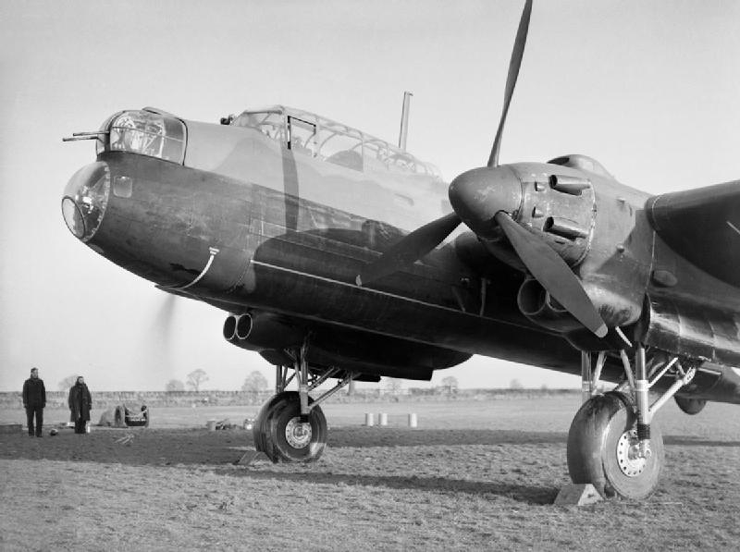 Early in the war, Bomber Command – in addition to the types mentioned above – was equipped with aircraft such as the Vickers Wellington, Handley Page Hampden and the Armstrong Whitworth Whitley, all of which had entered service in the late 1930s. Unfortunately, these pre-war designs would prove inadequate for the type of bombing offensive that would be required due to their limited range and ordnance capacity. 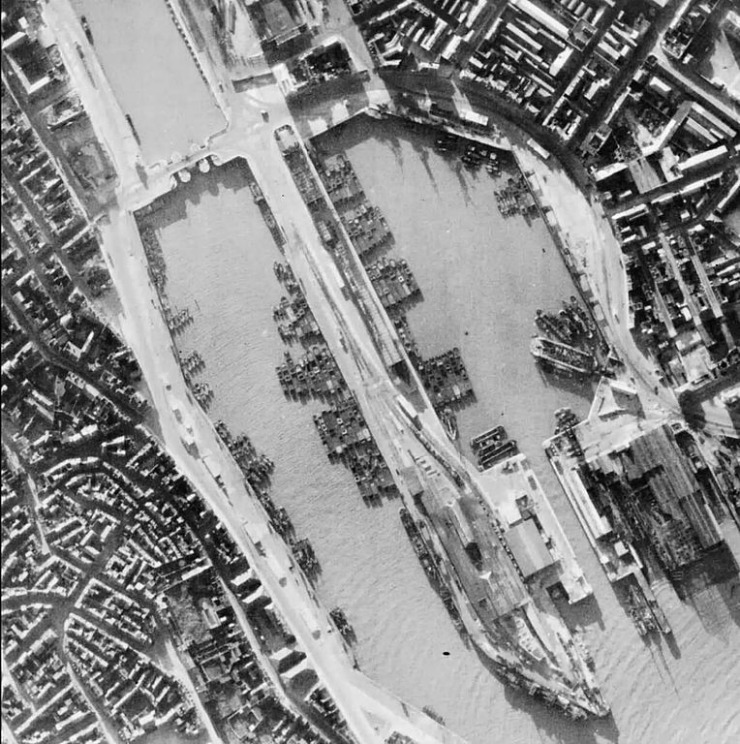 However, despite its deficiencies, Bomber Command played an important role during the Battle of Britain, carrying out strikes against enemy targets (including invasion barges), losing almost 330 aircraft by the end of 1940. This lack of adequate aircraft, however, would drastically change with the introduction of the most successful heavy bomber of the war, the Avro Lancaster. The Lancaster was the result of Air Ministry Specification P.13/36, which laid down the requirements for a twin-engine medium bomber. In response, A.V. Roe and Company (known as Avro) developed the Manchester. However, the aircraft proved to be underpowered and often unreliable, and only just over 200 were built. Roy Chadwick, the chief aircraft designer at Avro, addressed the issue by redesigning the Manchester to have four engines and replaced the Rolls-Royce Vulture with the more reliable Merlin. A number of other modifications were also made, including the installation of larger wings, and the updated aircraft became known as the Manchester III. 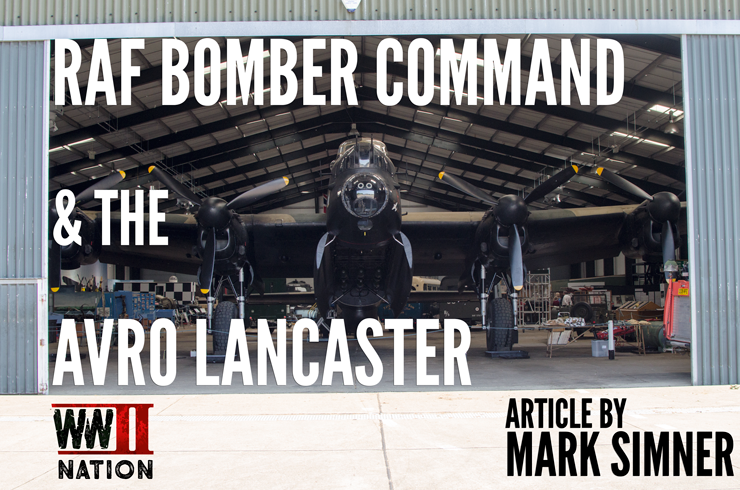 However, it would not be long before the name was changed to the more familiar Lancaster. The maiden flight of the prototype Avro Lancaster – BT308 – was made on 9 January 1941 with test pilot H. A. “Bill” Thorn at the controls. Taking off from Ringway Airport in Manchester, the initial flight proved a great success, with only a small number of relatively minor changes needed to the design; the principal one being the move from a three-fin to a two-fin tail design. A second prototype – DG595 – was built, and after further tests the aircraft was ordered into production. Although the majority of Lancasters were built by Avro at Chadderton, a number were also produced by Metropolitan-Vickers, Armstrong Whitworth and even the Austin Motor Company in Birmingham. In addition to those built in Britain, others were manufactured by Victory Aircraft in Ontario, Canada. 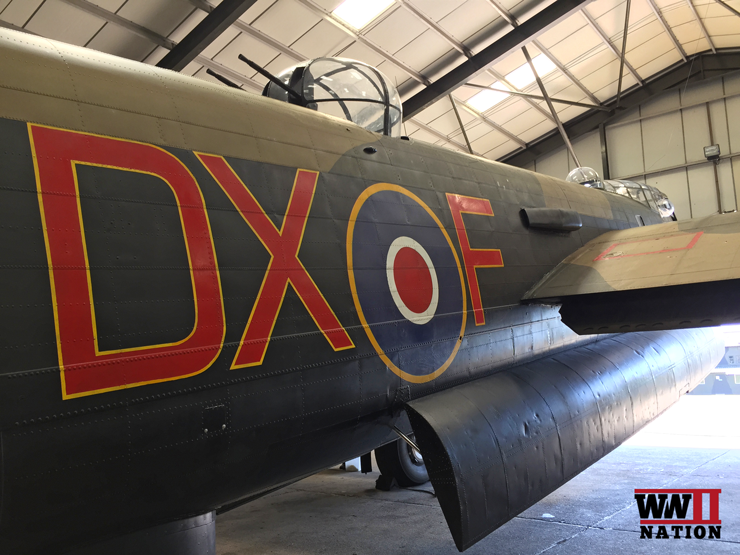 In all, a total of almost 7,400 Lancaster heavy bombers were produced during the war. It had a maximum speed of 282 mph, although it usually cruised at around 200 mph, and had a range in excess of 2,500 miles. To operate the Lancaster, a crew of seven was required, which included: the pilot, flight engineer, navigator, bomb aimer, wireless operator, mid-upper gunner and rear gunner. Aircraft attached to the pathfinder force also had the addition of a radar operator. 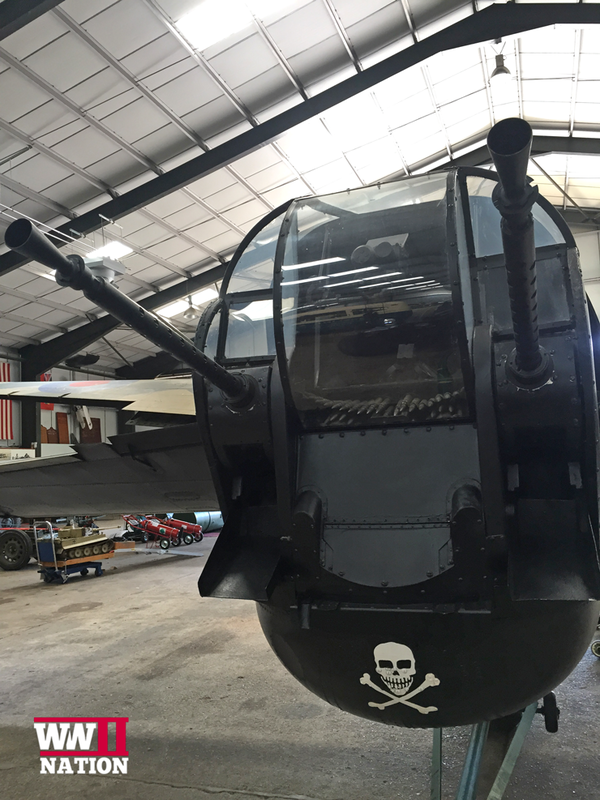 The main defensive armament of the Lancaster was provided by .303 Browning machine guns mounted in turrets located in the nose, mid-upper and tail. A ventral turret was experimented with, but proved to be unsuccessful and so was not adopted for mainstream use. 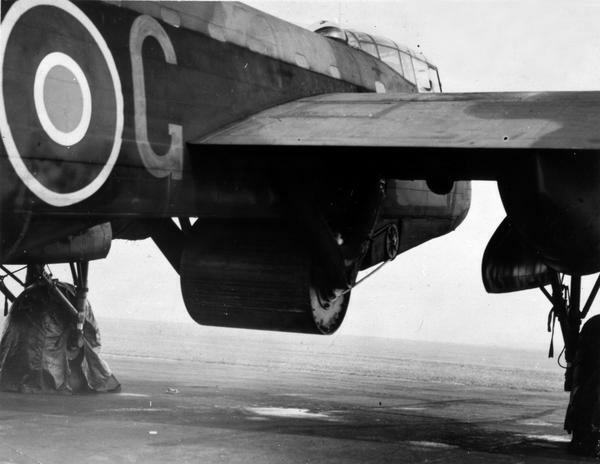 By far the most important design aspect of the Lancaster, however, was its considerable bomb bay, which allowed the aircraft to carry large ordnance payloads of varying and mixed types. The bay itself was thirty-three feet long and could be loaded with a 4,000lb High Capacity bomb known as a ‘cookie’. Others bombs carried included 8,000 and 12,000lb cookies, as well as various smaller loads such as incendiaries. The largest was the 22,000lb ‘Grand Slam’, a weapon used to destroy targets located underground. Perhaps the most well-known was ‘Upkeep’, the famous bouncing bomb used by 617 Squadron against the Möhne, Eder and Sorpe dams during Operation Chastise in May 1943. The first squadron to be equipped with the new Avro Lancaster was No.44 (Rhodesia) Squadron of the RAF. Initially formed in July 1917 as a home defence squadron operating Sopwith Camel night fighters, it was disbanded in 1919 following the end of the First World War. However, it would be reformed in March 1937, this time as a bomber squadron, forming part of No.5 (Bomber) Group when war broke out in 1939. Interestingly, the squadron had a number of notable commanding officers. 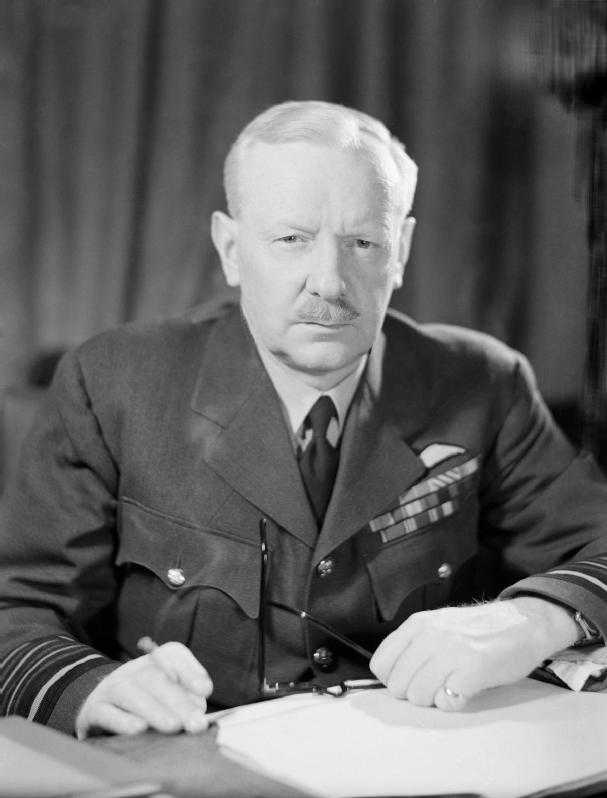 At the end of the First World War it was under the command of Arthur ‘Bomber’ Harris, who would go on to lead Bomber Command in its great offensive against Germany during the Second World War. It was later commanded by John Nelson Boothman, who had won the Schneider Trophy in 1931. Other commanding officers included Roderick Alastair Brook Learoyd and John Dering Nettleton, both of who were recipients of the Victoria Cross. 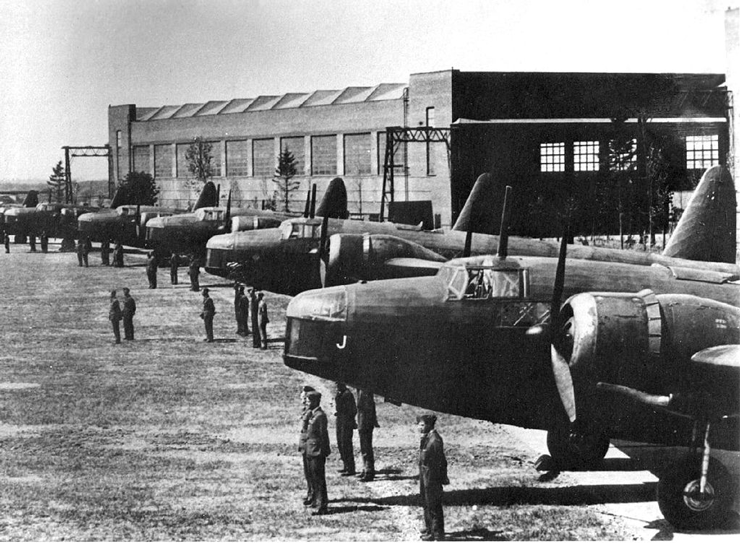 Following its reformation, the squadron was equipped with Hawker Hinds which were later replaced by Bristol Blenheims, although these in turn were soon replaced by Hampdens. In 1941, No.44 received its ‘Rhodesia’ title in recognition of the support of the colony and the fact that many Rhodesians were serving in the squadron as ground crew. During the war, it was initially based at RAF Dunholme Lodge but was later moved to RAF Spilsby, both located in Lincolnshire. No.44 would be the first RAF squadron to take delivery of the Avro Lancaster, and it would be the first to convert completely to the new heavy bomber. Its aircrew would also have the distinction of being the first to fly the aircraft on an operational mission in March 1942. The squadron would lose a total of forty-three Hampdens and 149 Lancasters during the war, with a further twenty-two of the latter being lost due to causes not as a result of enemy action. In terms of casualties, the squadron suffered the third highest number of any squadron of the RAF during the war. The first ever operational use of Lancasters was not a bombing mission, rather a number of aircraft from No.44 Squadron were tasked with laying mines off Heligoland Bight on 3rd/4th March 1942. The mission was led by Nettleton and proved successful. 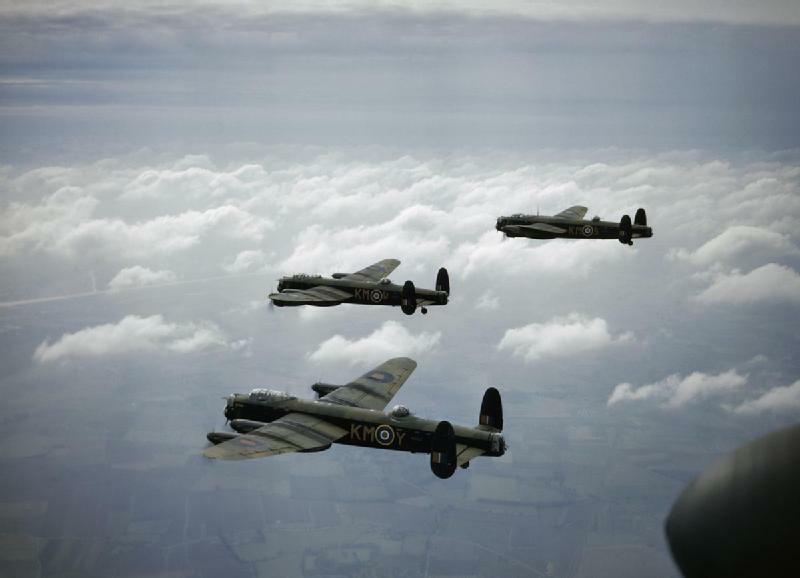 ‘Squadron Leader Nettleton was the leader of one of two formations of six Lancaster heavy bombers detailed to deliver a low-level attack in daylight on the diesel engine factory at Augsburg in Southern Germany on April 17th, 1942. The enterprise was daring, the target of high military importance. To reach it and get back, some 1,000 miles had to be flown over hostile territory. ‘Soon after crossing into enemy territory his formation was engaged by 25 to 30 fighters. A running fight ensued. His rear guns went out’ of action. One by one the aircraft of his formation were shot down until in the end only his own and one other remained. The fighters were shaken off but the target was still far distant. There was formidable resistance to be faced. ‘With great spirit and almost defenceless, he held his two remaining aircraft on their perilous course and after a long and arduous flight, mostly at only 50 feet above the ground, he brought them to Augsburg. Here anti-aircraft fire of great intensity and accuracy was encountered. The two aircraft came low over the roof tops. Though fired at from point blank range, they stayed the course to drop their bombs true on the target. The second aircraft, hit by flak, burst into flames and crash-landed. The leading aircraft, though riddled with holes, flew safely back to base, the only one of the six to return. The Lancaster would go on to fly many more missions throughout the remainder of the war. 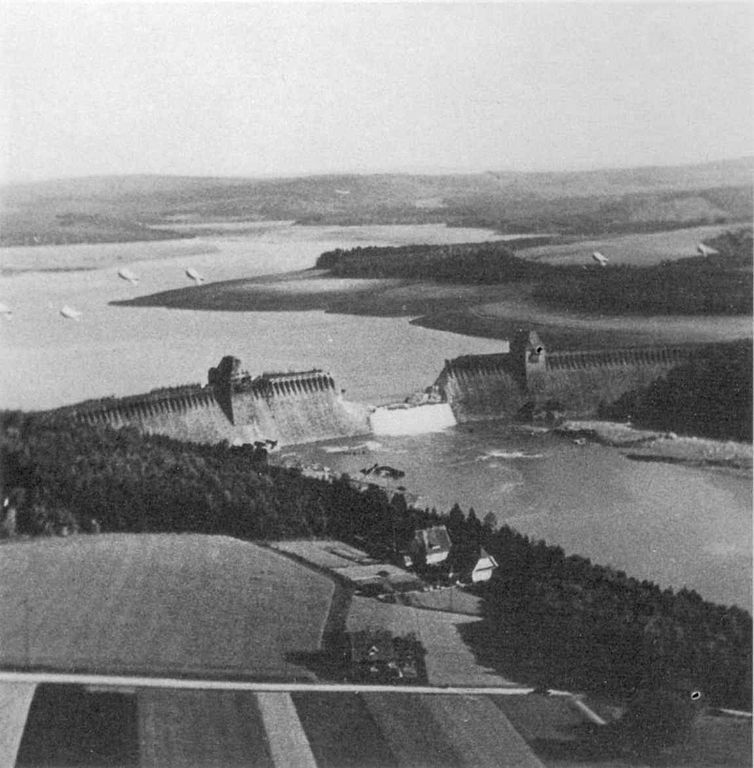 Apart from the relentless bombing of German industry and cities, one of the most famous of all missions was, as already mentioned, that conducted by 617 Squadron – known as the ‘Dambusters’ – against the German dams. 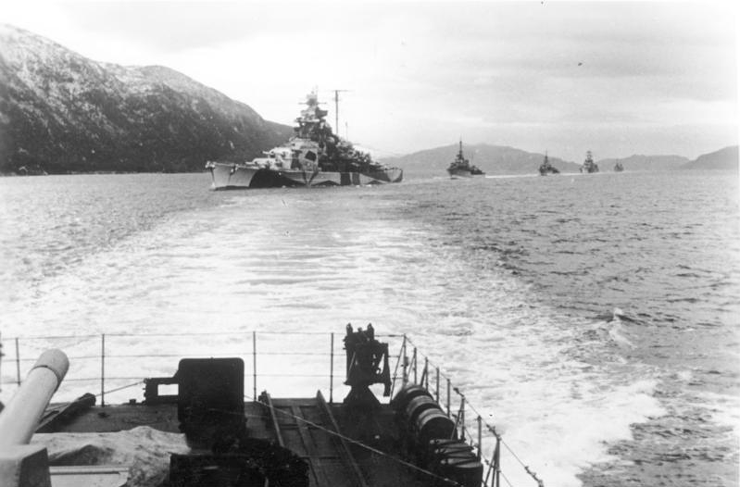 However, perhaps less-well known are the subsequent missions flown by the squadron against the German battleship Tirpitz and the use of ‘Grand Slam’ bombs in attacks on heavily protected U-Boat pens and bridges. Today, only seventeen complete or largely intact examples of the Avro Lancaster survive. Perhaps the two most famous are PA474 and FM213, both of which remain in air worthy condition and make regular appearances at air shows and other public events. The former is part of the RAF’s Battle of Britain Memorial Flight, based at Coningsby in Lincolnshire, while the latter is owned and operated by the Canadian Warplane Heritage Museum in Ontario. 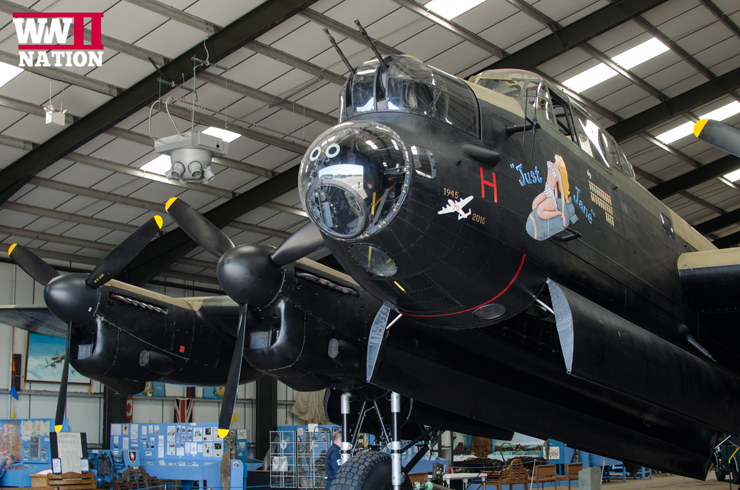 Another notable survivor is NX611 – known as ‘Just Jane’ – which is in taxiable condition at the Lincoln Aviation Heritage Centre in East Kirkby. 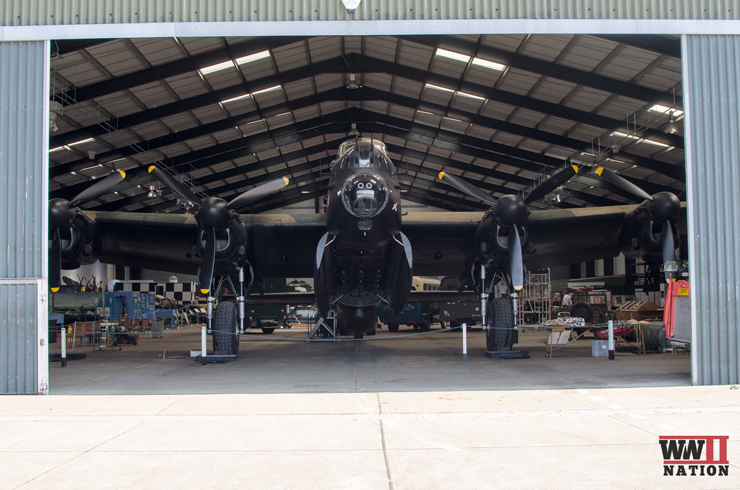 It is hoped that NX611 will one day return to flight. RAF Bomber Command casualties during the Second World War amounted to over 55,700, with a further 8,400 wounded and over 9,800 becoming prisoners of war. A total of over 364,500 operational sorties were conducted with the dropping of 1,030,500 tons of ordnance, while 8,325 aircraft were lost in action. Bomber Command ceased to be in 1968, when it was merged with Fighter Command to form Strike Command. A big thank you to Mark for what I hope you will agree was an interesting read about RAF Bomber Command during the Second World War and the important role that the AVRO Lancaster played. 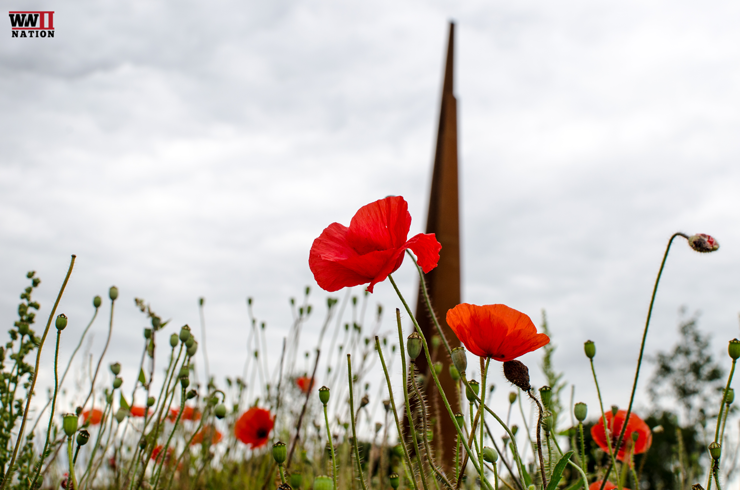 Find out about our previous filming trip to Lincolnshire, exploring Bomber Command’s connection during WW2 with this county.